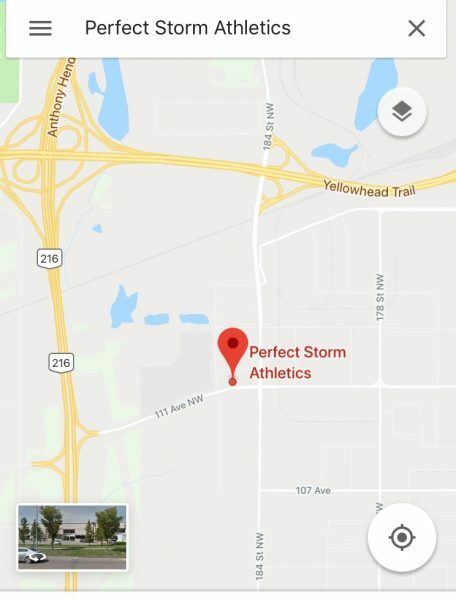 Perfect Storm Athletics is located in West Edmonton at 18536 – 111 Ave NW. We are just east the Anthony Henday at 111 ave and just south of the Yellowhead at 184 st. If you are coming from St. Albert you can easily access our gym from Ray Gibbons Drive. We share a parking lot with Esso and Tim Hortons. There is another Tim Hortons across the street from our gym. Click here for a Google map and directions to our gym.